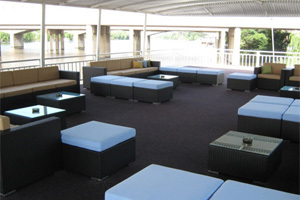 If you are looking for team building venues on or around the Vaal River, the Liquid Lounge is the venue for you. 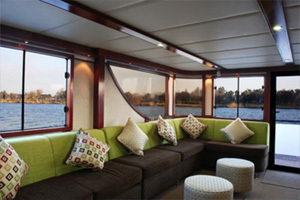 The Liquid Lounge is an exquisite river cruise boat, cruising down a tranquil stretch of the beautiful Vaal River. Looking after the well-being of your employees and promoting a good relationship between both employees as well as employers is an important factor contributing to a company’s success. 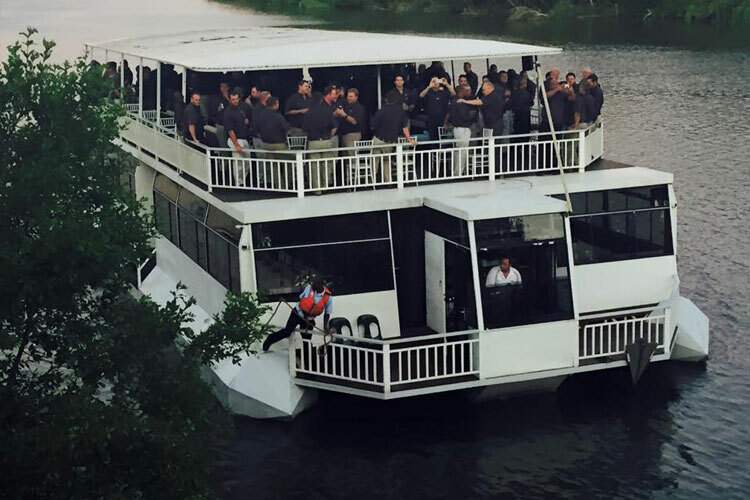 Your employees will truly enjoy this Vaal River experience, serving for a memorable team building event. 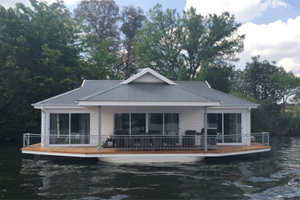 Contact the Liquid Lounge today for more information about our team building events hosted aboard this river cruiser. 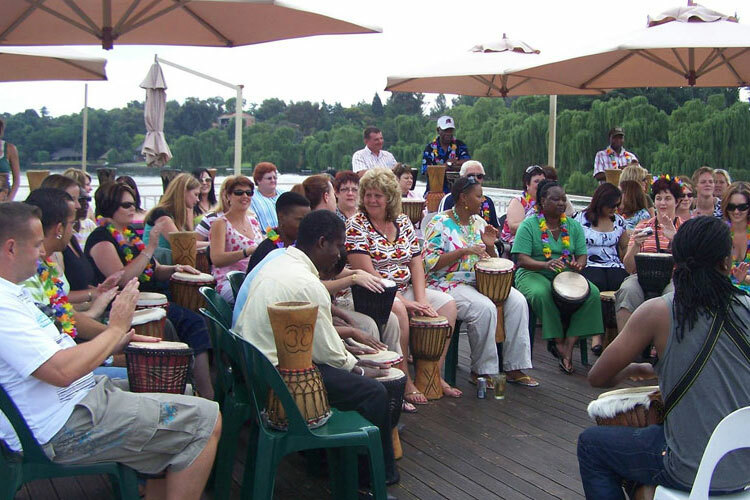 The Vaal River is not just a wonderful option to sit back and relax all by yourself but also a good venue for team building activities. If you thought a river cruise only makes a good venue for romantic evenings or grand parties, you are mistaken. It is also ideal for conducting team building activities. With our Vaal River team building activities, Liquid Lounge will help you in creating a good bond with your employees which will reflect in the growth of the company. All the Vaal River team building activities are aimed at promoting bonding, support, trust and teamwork. The qualified facilitators available at the venue will help you and your team in focusing on interpersonal communication as well as working in a team. You can have your team building activities planned so that it caters to the specific needs of your company. We are able to create a custom package that will suit your company according to your staff’s social profiles. Catering options include a variety of menus available for you to choose from, as our pricing does not include food and beverages. While on the cruise itself, you will find an on board cash bar facility and background music will be played. If you like, you can also arrange your own entertainment as we have sufficient 220V power supply on the Liquid Lounge. 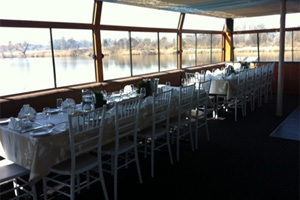 The Liquid Lounge is a unique and spectacular venue for Vaal River team building events. Employee motivation: A team building event creates a platform for employees to take part in activities in a social and relaxed manner. This makes it easier for them to express their ideas and opinions, which can be carried over to the business environment. Ultimately it could motivate them to take on new challenges and daily tasks with confidence. Facilitate good communication: Efficient communication is a very important factor contributing to a company’s success, which is often overlooked. Team building events will help to facilitate better communication, and even teach employees improved communication skills. Building trust: Team building activities and exercises will encourage teamwork between team leaders and employees, which helps to build a better relationship between them. This will decrease the gap perceived between management and employees, promoting a trust factor between them. Problem-solving: Team building activities hosted by your Vaal River team building venue and staff will promote problem-solving, as employees will be required to take part in a number of activities which require some strategic thinking. Encourages creativity: Team building activities also include a number of activities that promotes creative thinking, allowing for employees to think out of the box and awake their creative skills. 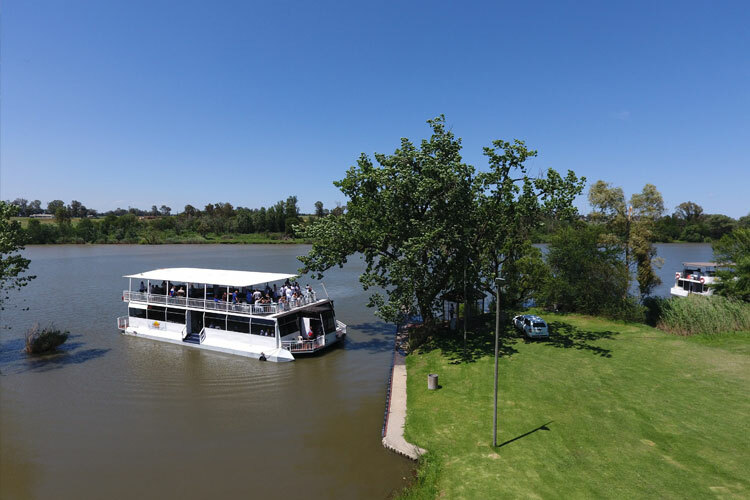 Excellent facilities, spectacular catering and the fact that you will enjoy a unique Vaal River cruise during your event, makes the Liquid Lounge an excellent choice of team building venues and function venue in the Vaal Triangle.